On the back of the NSA Prism revelations, we’re joined by Pär Lannerö to talk about internet privacy and the complicated world of terms and conditions. How can we make them more simple and manageable? How can we tip the balance back in favour of the individual? Unknown to us, Per’s microphone was broken. So at some points we’ve had to rely on the sound picked up by James and Pär’s microphones. Sorry about that! 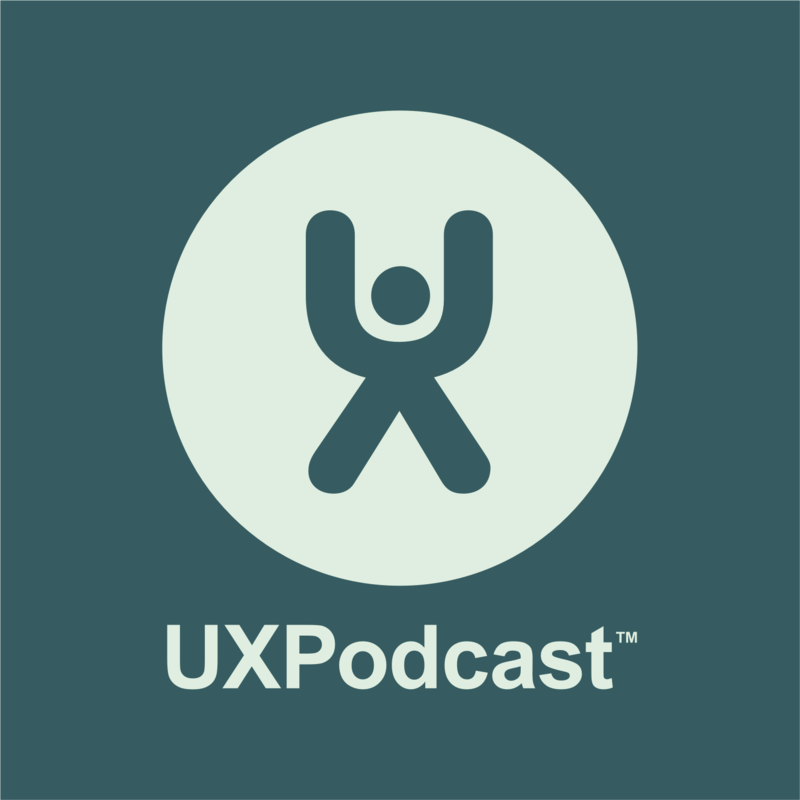 Per: Hello and welcome to episode 49 of UX Podcast. You’re listening to Per Axbom. Per: And today it’s a lovely weather outside actually. Per: We’re set in the Swedish Post and Telecom Authority Office because we have a guest today. Per: No. You might think that. We’re actually three consultants sitting here in like a cafeteria or a sofa area. Per: And James, what’s the topic we were going to talk about today? James: We’re not going to tell you. James: That was terrible. That was really bad. Privacy. James: A little bit kind of inspired by the whole PRISM disclosure just last week. The American government has been prying on all our things and what we say and what we do and emails and everything. Per: So the PRISM surveillance program. Per: That we really don’t know a lot about. Per: Yeah. You have the idea that we should bring in the guest because we don’t know a lot about this stuff. Per: We immediately thought of somebody who had – on our list for a while now, Pär Lannerö who sometimes tweets about privacy issues and so you’re quite active in this discussion as well and you’re Plannero on Twitter and I always thought that had something to do with you being a planner or something and then I realized, “Oh my god! No, it’s his name.” So welcome to the show Pär. Pär: Thank you very much. Per: I imagine you’re a consultant as well. Per: And you founded it and you’re a consultant for a company called MetaMatrix. Per: So tell us a bit about what type of work you do. Pär: Well, I’ve been an internet consultant for the last 14 years, I think, since we founded the company. I’m doing 14 years of internet work. You get to try out lots of different things. So I’ve been a teacher. I’ve been a programmer. I’ve been writing market surveys and doing user studies and all kinds of things. But everything has been circling around the web and recently it has been a bit more about privacy and especially about contracts on the web. Pär: Yeah. Somebody said there are two human constructions that can be seen from outer space. Do you know which ones? Per: Well, the Wall of China I’m going to guess. Yeah, yeah. Pär: That’s one of them. The other one is the terms of service of some website because it’s so long. Per: Excellent. So I mean that’s usually a common usability issue that we talk about is having to click in that box and saying that you agreed to the terms and I watch people do this and I see them never ever reading this stuff. Then all of a sudden, somebody comes out and well, there’s the scoop. Oh my god! They have this in the privacy terms and there’s media coverage around it and everybody is outraged and they sign petitions and they join Facebook groups and we didn’t know about this. Why are people so surprised? They obviously checked the box that said they read the privacy terms. James: I think one of the first large scale examples I can remember of that was when a few years ago now where suddenly everyone was worried that Facebook was going to use their photos in adverts because they had introduced their check box somewhere that basically allowed this to be used for that. James: So it was a massive storm, people closing Facebook with accounts left, right and centre trying to protect their pictures. It does happen constantly. Per: So your project Pär is sort of an attempt to solve this problem, I think. Pär: Yes. Actually a dozen or so projects around the world that try to solve this problem which we call the biggest lie on the web and the biggest lie of course is yes, I have read and agreed because you haven’t read. Pär: There’s especially one project in Germany I think that’s called ToS;DR. Have you ever seen the abbreviation TL;DR? Pär: TL;DR. It means too long, didn’t read. Pär: Then some people from Germany started this project called ToS;DR which means terms of service, didn’t read. Pär: And they are trying to solve this problem by having people – they have a crowdsourcing project. They try to get people to put grades on different website’s terms. So for example, Facebook may get a C because they have some good terms and they have some bad terms and overall it’s a C. Google maybe gets a B because they are doing pretty good efforts to have good terms. Facebook are trying. They are also trying. James: You should actually bother to read the terms and conditions. Pär: Yeah. But if it’s an A or B, then it’s probably fine because some people have looked at it and they said it’s OK.
James: You’re not selling all of your soul to the devil. James: Just a little bit of it so it’s OK.
Pär: Exactly. So that is one nice approach and my project is a little different. Per: Well I must say where that approach actually fails is having to install the browser plug-in because I mean how many people are going to actually do that. James: I would say it’s low. Pär: If the browser plug-in turns out to be very efficient and well working, then maybe some of the browser manufacturers will include it from scratch. Per: Yeah, that’s a good point. James: You have to think about the way that the privacy certificates have evolved over the recent years. Per: Oh, yeah, the SSL certificates. James: So there’s a chance I guess I think. It could become mainstream. Pär: Anyway, I really applaud this project ToS;DR but I also have my own project which I run not alone but with the help of some friends and people around the world. It’s called Common Terms, CommonTerms.net. We have a slightly different approach. We let the website owner or the lawyer working for the websites make a self-declaration so they produce a one-screen summary of the most important parts of their terms and then we have a proposal for a standardized layout of this one-screen summary and a method for selecting the most important stuff. From maybe 20 pages, you have to extract one page. Pär: So there must be a standardized way of how do you select which ones to display and how do you formulate so that it’s consistent between websites because the idea is that people should start to feel familiar with the presentation and recognize the formulations so that they don’t need to read everything all over again. James: Kind of like semantic terms and conditions. Pär: Yeah, standardized formulations. So we have a database of common terms. That’s where we got our name and this database we created by a detailed study of 22 agreements that we found on different websites both the big ones and representatives for smaller ones and we found some 450 different terms and we selected from those 450 maybe 30 that we think are more important for the user before signing up. As a basis for this selection, we use the EU recommendation for consumer protection. There’s an old document that enumerates all kinds of terms that users should be wary about. Pär: And that’s on consumer agreement. Pär: In the US there is a similar thing called the FIPs, the fair information principles. I don’t remember the exact words but it’s a set of recommendations for how privacy information should be presented. Pär: What aspect of privacy should be presented and those have been in use for 20 years, I think. They can be used as guidance for what terms should be in the one-screen preview. So I’ve been working on this project for two and a half years and we received funding several times from Internet Fonden which is the Swedish Internet Infrastructure Foundation. So we’ve been able to put some effort and some – we’ve been able to keep going for more than a year and many of these projects, they get some ideas and they start working and they find out oh, this is really tough. I can’t do it. So after a few months, they drop it. But thanks to the Internet Fonden we’ve been able to keep working and I’m now leading an international email list of other projects that have the same goal. It’s called OpenNotice.org and we have also regular teleconference to discuss and to coordinate and that’s where I’m at, with the guys at ToS;DR for example. There are few other projects as well. For example, there is a project from a New York start-up called Docracy. They are harvesting terms and conditions from websites and extracting differences. So, if they get it every week and if there’s a change from one week to the other. James: Ah they monitor a particular site but you say OK, one is Facebook. I mean alarm bells ring when they notice some wordings change somewhere. Pär: Yeah. If something changed, you wouldn’t get to notice. Per: Makes me think of my kids running around yelling, “Yolo!” right now. You only live once. Pär: Oh, right. That’s when we’re reading it. When you download software, you have to accept the ULA. Pär: That’s very much the same problem because you don’t read that either. James: Again you don’t have much choice. It’s like the whole Facebook thing. Per: And it’s the same thing. It’s also always at the end. You already filled in a lot of information. You’re not going to stop there. James: You’ve had a need. You’ve realized that, I don’t know, you need to buy Photoshop because you’ve got a project where you have to use Photoshop. When you got to the point of actually buying it, you’ve got a manager to sign off on funding it to actually get it and so on. You’re not just going to suddenly start reading it. Oh gosh. Should I run this through our legal department? Should I actually say yes before I download this and actually install this? James: No, it’s not going to happen. No, it’s the same with Facebook. Now with the penetration of Facebook, a lot of people now are not going to say – they’re not going to click no to the terms and conditions when they’ve decided to sign up for Facebook and 99 percent of their friends are on Facebook. It’s never going to happen. Pär: That’s right. So you don’t have a choice and still you’re forced to lie. James: You’re bullied into accepting the terms and conditions on their terms without any negotiation. Per: But you’re right. It’s a lie because you’re not accepting the terms. You’re just checking the box really because you don’t accept them. You don’t know what they are. James: You’re doing a mechanical – you’re just mechanically clicking something. Per: But it seems like there are a lot of projects then working with this. What are the big challenges of actually going from these ideas to widespread adoption? Pär: Before starting this recording, you mentioned a website called 500px and they made a pretty nice attempt at simplifying their terms by having a two-column layout where the left column includes all the traditional terms and legalese and the right column contains just bullet points with simple phrases. Per: If you go to UX Conference, I mean that slide is bound to come up with that example actually. James: It did. It actually came up at UX Lx with one of the things I went to. One of the complaints there was that when you have all the simple text at the side, taking away from the legalese, why can’t we just get rid of the legalese and make it even simpler and just have the simple text that you have read maybe and have agreed to. Pär: Unfortunately, it’s not doable because lawyers do have a right to exist and they do have a very important function. Pär: When there’s a conflict, sometimes you need an agreement that will stipulate what should be done and lawyers are trained to phrase this very, very precisely and sometimes it’s not precise but it’s still very – it’s not by chance that they formulate them the way they do. Per: To me it always sounds like they do this because they need a job. Per: But there is motivation for it. James: Exactly, yeah, this long tradition. I think here it’s an example again of how we’ve scaled with the advent of the internet and the adoption of thousands of services. I mean most of us now have a hundred or so apps on our phone and God knows how many business software, computers and everything we’ve agreed to. We’ve gone from a time not so long ago where you maybe have signed a few contracts in your life. Maybe a job contract, house contract and maybe a few of the services and things but that was pretty much it whereas now, we’re accepting contacts and signing contracts effectively on a daily basis. Pär: Oh, yeah. There was a study saying that you must spend 76 working days per year if you’re supposed to read all of those contracts in full and still you wouldn’t probably understand everything. So yes, you’re agreeing to a lot. Where was I? James: Go back to what I said. If you do get rid of the complicated one and the simple one, then the simple one does win. Per: It’s not just a simplification. It actually changes the terms. Pär: Yeah. So that is not protecting the owner of the service. James: The way we got there, you can’t read – so you got two things on the same page then of course you’re accepting the page and the simple one has gone to it. It makes complete sense, yeah. So maybe you should get someone to outsource it, get someone to write an independent translation of it [Indiscernible]. Pär: But I guess since there is a big problem here, a usability problem and the legal problem, I guess in legal philosophy you’re supposed to have the meeting of minds whenever you have the contract. That is the people who agree they should understand what they’re reading because you don’t have that meeting of minds today. Pär: Sometimes the contracts are deemed as not valid because there was no meeting of minds. Pär: But sometimes, well, you actually write that off when you tick the box so that signifies that you – you say you have read it so you’re accountable to this if you had read it. So it’s usually they hold but philosophically it’s not good from a legal standpoint and from a usability standpoint. It’s not really good because users don’t know the rules. People spend a lot of time on Facebook and they don’t know if the rules – they spend a lot of time in the country and they usually have some idea of what laws are governing the life in this country. But when they spend so much time in Facebook, they don’t have a clue what rules apply. Per: That’s a very good point. James: It was a very good point. We also have the problem that people think still that they’re speaking in closed rooms. Like now. Once upon a time, us three would sit here and we would have a private conversation and we were pretty sure that it was private. People have transferred this way of thinking onto the internet and a place like Facebook and they’re at times quite confident that they’re talking to just their friends or just a subset of their friends. Per: … somebody was able to share it. James: Exactly. Someone shared it. They don’t realize that it doesn’t stop inside the original room. Per: That was what happened to Mark Zuckerberg’s sister. James: Yes, the picture, the – it was a Thanksgiving kitchen picture. That’s exactly what they – yeah. That was Twitter though, wasn’t it? Per: Maybe it started on Twitter. No, it was Facebook. James: It was Facebook but it was published on Twitter. It said, “I’m not sure you’re wanting to publish that.” Yeah. So again, we’ve lost the walls but you think the walls are still there. James: And they’re moving for you and they can move because there are bugs in software that we’ve all suffered from. Again I’m going to talk about Facebook because it’s just so ubiquitous. You go to the app and you notice that the privacy settings in the app are public but you can be sure that you’ve had them set to something more restrictive on the web version and they’ve changed. They’ve crashed or whichever and altered each other quite a few times for me and for lots of other people I know. Per: Over the next few years, we’re moving into an area or a time when people actually have wearable cameras taking photos all the time. I mean from there to microphones on all the time. We’re already getting reports that it’s easy to bug phones and actually turn on the microphone and listen to it from a distance. So I mean the privacy issues we’re talking about that we’re not aware of on Facebook, they’re going to have to apply in the real world as soon as well actually. James: In addition to this, we’ve got the privacy settings that we think we’re aware of but we know that there are possibilities to restrict the viewing of content. But we take it once step further to our maturity or knowledge of it all. We don’t really quite yet understand just how permanent a lot of digital artefacts we produce are. Once you’ve produced something digitally, it’s incredibly easy for that to be left somewhere or to be copied or to remain after you’ve deleted something or closed something down. Pär: The contracts that we have today are accepted once and then it’s always there. There’s no negotiation really. But have you heard of CRM systems? Per: Customer relationship management. Yes. Pär: Did you ever hear about VRM systems? Pär: That’s vendor relationship management. Pär: The providers of services usually have CRM systems because they want to manage their customers but we should really have vendor management systems. James: Turn it around, flip it. Pär: Vendor relationship management because we should be able to manage our vendors and have a track record of did they behave well. What interaction have I had with them? There’s a project called the VRM project that is developing tools for vendor relationship management. Pär: And that includes contracts. So whenever you accept the contract, you download it or maybe you upload it to a cloud service of your own and when you go back to them, you can maybe point to that contract which you have already and if they change something, you will be able to tell them and there will be tools for negotiation in the VRM project as well. Per: … also with the grading of the different terms of service. So it’s more of a crowdsource solution where people have together actually evaluated the terms of service that are out there instead of – in that sense are actually pushing on the vendors to actually shape up and do something about it. James: You’re right. I mean we touched upon this kind of thinking with profiles and with all the settings, privacy settings. A lot of these situations should be flipped and we should sit in the centre as individuals. Banking, we haven’t talked about this at all. All my finance stuff, I would like to have – I’m the centre of it all. Why can’t I decide what I pull in and pull out? Per: I want to visit like the pension management company and financial services and the stock management behind the bank. Per: It’s all my money and I want it in the same place. James: So in future years, we have to be the centre and focus on a lot of these things to make it manageable. Per: I mean thinking about it, how many of these terms of service did our like parents have to approve each week? I mean I approve one of these terms of service every week now because I try out some of the new services all the time. I mean it’s unheard of, the history of having to agree to so much stuff all the time. It’s a huge new problem. Per: That’s why you don’t have the meeting of minds and next you’re just copying and pasting it and producing new stuff all the time. James: So we’re using terms of conditions history going back decades and decades of tweaking and these certain paragraphs, exactly how they work for a non-digital world and then kind of cramming them into the last 15, 20 years of the digital world and trying to get them to work. Does anyone – has there been any cases where someone’s – taken some terms and conditions to court and tried getting them thrown out on a usability front. We’ve seen plenty of dodgy terms and conditions, the dark methods, dark patterns with hiding checkboxes and getting them to agree to stuff without giving them a chance to read stuff. Has anyone managed to throw out terms and conditions because of the bad usability? Pär: There is something called clickwrap. You probably know and there’s also something called browse wrap which means you are accepting the agreement by just reading the page. There may be a notice down somewhere on the bottom of the page and I think browse wrap can be considered non-valid contracts by a court. But clickwrap usually applies. It’s valid. But sometimes when people are – there’s a conflict and they go to court. They will say that well, I didn’t really understand this or I didn’t expect this and in a few cases, you can get the contract reverted and usability could be one of the grounds for that decision because you didn’t really have a chance to read it somehow. But many times, the court says no, it’s valid. You really did check the box and well, checking the box usually is something that you’re conscious of doing. If the box was pre-checked, probably that would mean it’s not valid because then you could theoretically have missed it and just clicked the next button. If it’s not pre-checked, then I think it will hold. James: It’s also the onas is on the developers to make sure that their projects and sites work on absolutely every single potential device that can display those terms and conditions. There are other situations where I’ve been using slightly odd devices where things haven’t displayed properly because they only will be checking the box and go forward but maybe I haven’t been able to read everything because I couldn’t scroll the page. I couldn’t zoom in on something. Per: Or the font is too small but it’s also interesting if you have an error message. You don’t check the box. You click OK and there’s an error message and depending on what the error message says, that could probably deem it irrelevant if it says you have to click the box and it doesn’t say anything about the agreement and it just says we have to click the box. OK. I have to click the box and then continue not realizing that that also means that I have to agree with the terms that I haven’t actually read. James: We have to make all this simpler from a language point of view and a usability point of view because it’s just not feasible to expect every generation of person from minors up to silver surfers and all the generations to understand and manage all of these different situations. Pär: It’s not obvious that you have to read everything. You shouldn’t really be forced to read. You don’t read the full collection of laws but you’re still expected to follow the law. You can use brands that you trust and usually companies with the brand will behave. James: They generally don’t do evil. Pär: Yeah, but in the digital world, the investment that companies need to make to put up a website is so small that there’s really not a big brand to protect when you’re new. It is when you are new that lots of people are expected to read those terms because when you are new, that’s when you try out the service especially if you’re like Per who is trying out every new service. So you try them when they are new and when they are new, they don’t have a brand to protect. They don’t have an investment to protect. So they can really misbehave so it’s not very easy to say. Should you read everything? Maybe not. Per: But also on the point that I’m actually talking to you and I’m realizing I signed up for all these services and I’ve checked the box and maybe in the services it says I agree to all updates of this agreement. It’s just floating around out there and they have all my data and all of a sudden they just take the agreements to say that they can share that data with other people. It just doesn’t matter because at some point in time, I actually said yes to that. James: Yeah, we’re very bad at tidying up after us. Digitally. Pär: When they hide things in these agreements, the most common naughty thing they are hiding is exactly that. Yes, we can change the terms anytime and you’re expected to accept it silently. That’s the most common known accepted thing. Pär: In the 22 agreements that I studied in close detail, I think I found it in seven or so. James: Oh, god, that’s a high percentage. Pär: So that is probably the most common bad thing but then there are some funny things as well. For example, some of these documents, they contain a paragraph that said, “Congratulations. You read every sentence until this one and this one says you will get monetary reward if you just send an email to this email address.” So few people are reading that they can afford to give $1000 to everybody who sends an email, so that has happened. Per: Oh, that’s an excellent incentive to actually start reading this. James: But that again surely could be used against them because if you end up in a court case about those terms and conditions and you ask them, well, how many people have you actually paid? And they said, “Well, we never paid anyone.” So that maybe would prove because people know that given that incentive, they would actually send email and would get the money. Pär: But people have gotten money from a company that did this and another company, a game company I think, they said that you are – testament here, what’s that in English? James: Your will and testament. You mean after you die? Pär: You’re donating your soul to us if you accept this. Pär: So that means in court. Pär: I don’t know. So there are all kinds of funny things in these documents when you look at them and there are all kinds of very, very boring things too. Per: That’s what you expect, boring things. James: Does MailChimp have two versions? Per: No, I don’t think so. James: I think they do because they have the legalese and then I think to the right, they have the on-brand funny monkey stuff. Pär: Actually I’m friends with Gregg Bernstein, the UX expert at MailChimp who worked on these terms and conditions for MailChimp the last year. He has been contributing a lot to Common Terms as well. They did a very serious work to simplify their terms but they really had to keep the complicated things for legalese. James: The Californian-based, the American-based. Pär: I don’t – he lives in Atlanta, Georgia I think. James: Either way, it was America. I was thinking about the legal context. Pär: So they really wanted to simplify but they found that they couldn’t but they did lots of graphical design improvements and they revised the language and they put all these explanations by the side and everything they could to make it accessible. Per: So the company is trying and they’re putting a lot of money and effort into actually changing this stuff but I mean I would expect that people are still not reading it. Per: It’s sort of built into your body now that you just click that box and get on with it. Something else has to actually change. James: They’re still not entirely sure that government aren’t allowed to just override all this and read it anywhere. We have data that’s flowing between countries because it’s not necessarily – the data centre is not necessarily within country as the country you sign the agreement in. Pär: Are you familiar with the Open Source world? Pär: They do have the GPL contract and the GNU less[er] and everything, the Apache contract and BSD contract. That probably amounts to a dozen or two dozen standard contracts and when you have a dozen, it’s actually doable to read them once and for all and learn about them. Then when you stumble upon another software package that you need, you recognize oh, it’s still the GNU contract. James: Yeah, “that one’s trusted, we like that one”. Pär: So I think having a bunch of standard contracts is a good idea but for general online services, you cannot have a few standard contracts because they are so diverse. But the idea with Common Terms is that OK, you cannot have a full contract but you can have the building blocks, the clauses or terms. That can have standard formulations for them and then you can have tools that highlight the ones that you really should care about. Pär: So it’s a very big challenge to get this working but we are still working on it and we think maybe in a few years’ time, it can be useful for most websites. Pär: If you have your own storage with things that you have accepted before, then you can automatically highlight OK, this new contract contains only these three bullet points that I have not yet seen. So you can take a stand on those three things. Pär: So I think things could improve here but it’s not in the interest of the big online giants right now because they’re pretty happy with having people sign up for whatever. James: We’ve probably got to wrap up I guess now. Per: We’re wrapping up, absolutely. We took a lot of your time here Pär but I appreciate that. James: With terms and conditions and privacy, I love these things. We’re really pushing tradition – well, old mechanisms to the absolute limit. It’s beyond the limit and it can’t cope and we’ve got an awful lot of work to do to help humans deal with the new world of digital because it’s very, very different to how it used to be. Per: … it’s more than the agreement. It’s actually just understanding this world that you’re now living in. James: Yeah, it’s going very fast. We can come and get things very quickly and we can sign a lot of things very quickly and government can do a lot of stuff very easily as well as we’ve seen. Per: … a lot of people out there could make use of this. Pär: Probably they will not be able to use it right away but they should look it up. Pär: Yeah, they should get used to the idea of maybe presenting a summary and maybe contributing to the project by trying it out. But it’s still not mature. Per: I mean the reason that the 500px example is so good also is because you need good examples. So we need more examples out there of companies doing this as well. Pär: Just one last thing. Pär: The 500px really did a nice summary and simplification but their terms aren’t really good. They’re not at all in favour of the user. James: Well, you know that because they made it so simple to understand. Per: Nobody read the simple one either. Pär: They got lots of credit for the simple terms but not many people read them and agreed with them. Stated that oh really, these terms are bad but they’re clear. James: That was fair enough. Per: That’s a good point to end with. So should we finish off on a note? I mean we’re attending a conference in September aren’t we James? Per: And Conversion Jam 3. James: Conversion Jam 3, yeah. We were there last year. Per: We were there last year and so if you’ve been with us for a while, you will remember that we interviewed. Per: Brian Clifton, Craig Sullivan, Annelie Näs. Per: So good line-up of speakers this year as well with Brian Massey and Nathalie Nahai, Craig Sullivan. Per: André Morys, Ton Wesseling and John Ekman of Conversionista himself, the conference organizers. So that’s really an excellent conference that we really recommend. James: And we’ve got something for the listeners. Per: Or even June 21st. James: Oh, yeah. A little bit longer. Per: In a few weeks’ time you have the cheaper price for it. James: Yeah, we got a 200 kronor discount code. Really good for you, for anyone in Stockholm, in Sweden and maybe someone else might want to come across from another country and say hello to us while we’re recording some podcasts. So it’s UXPODCAST, capital letters, according to the info I’ve got here. Per: Yeah. We don’t know how picky they are. James: No, but UX Podcast, capital letters, would give you 200 kronor off the Conversion Jam 3 ticket which is – is it the 10th of September Per? Per: 10th of September in Stockholm, so great chance to come and meet us as well of course. James: Yeah, forget all the speakers! They’re not relevant. It’s us you want to see. Oh, yes. Per: So thank you again Pär Lannerö for doing this with us today. Per: I learned a lot. James: Yeah, I learned a lot as well. Per: And I’m off on vacation now. James: Good for you. I’m not. Per: Some of the upcoming episodes I think where actually I’m going to have to do it over Skype. I’m going to be in Michigan. James: We haven’t synchronized our calendars properly. So you’re going on three weeks holiday and then I’m going on two weeks holiday straight after that. So I think we’ve got at least two episodes where we’re going to be Skype-ing across the world. James: It’s my job to confuse everyone. Per: What biweekly really means. James: Twice a month, we have UX podcast and we’re recording it all the way through the summer for your listening pleasure because we love you all so much. Per: And everybody is just dying to hear more from us. OK. But remember to keep moving. The link to TOSBack above doesn’t work. It only works without the www! Thanks for that! I’ve updated the post.